If all else fails — it won’t stop snowing, you’re freezing, miserable and so over it — put on as many layers as you can fit into while still moving, go outside and release your inner child. Play in the snow! That white powdery stuff really is pretty fun! This afternoon the snow was falling, and it was so beautiful that I couldn’t resist. 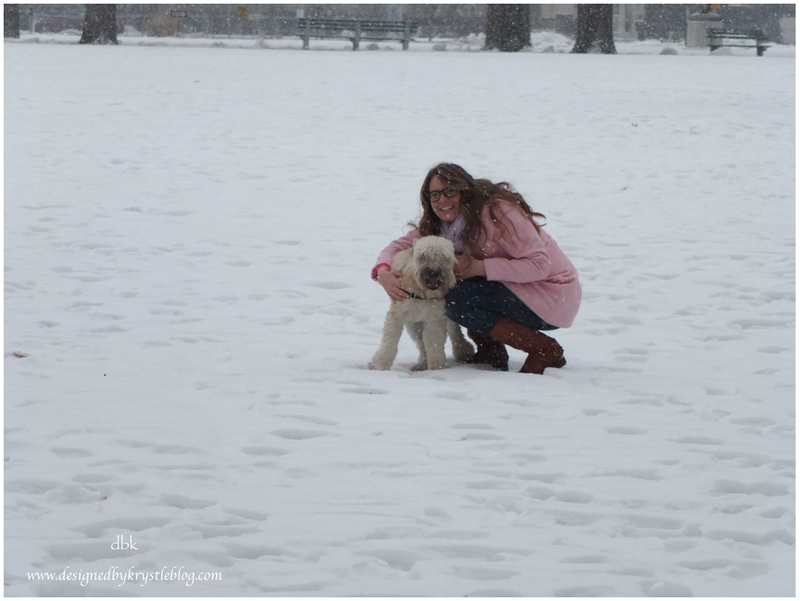 It helps that Brantley loves the snow – it energizes him, and he gets so playful running around in it. We went to the park and just ran around and honestly, we had such a good time!! I hope this series has given you some fun suggestions on how to make it through winter and feel better about it. Leave a comment and let me know what your favorite winter activity is. I’d love to add some fresh ideas to my list!